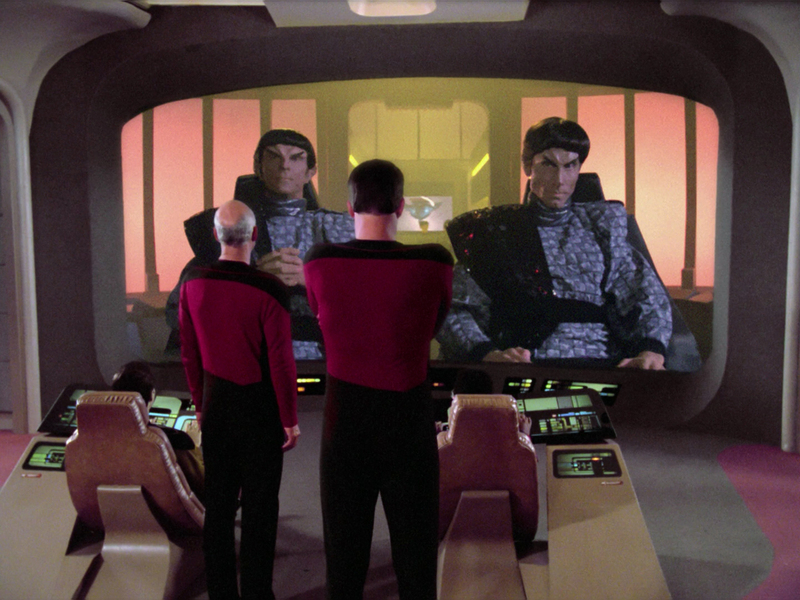 It’s been so long since I’ve watched any TNG episodes! Unfortunately, I never got to watch them in order, because my husband usually chose which one we watched by reading the brief synopsis. No matter, though. I still enjoy them. I have to agree with you about how awesome Data is. He’s by far my favorite character! Random fact about Symbiosis. It was filmed after the episode where Tasha dies and so her actual last shot is at the end… I haven’t seen the episode in ages but he’s waving as a door to a shuttlebay or something closes. I always like the idea of Wesley but I was a teenage girl when I was watching the series so he was the easiest way for me to relate to the show. But I don’t think the idea of this kid was always executed as well as it could have been. Haven and Conspiracy would be at the top of my season 1 list as well in part because I love Lwaxana Troi. And I think the idea of an arranged marriage is interesting and fun to explore in a series like this. Too Short a Season always kind of freaked me out. Yes, Denise Crosby told that story at a convention I went to, so I looked for it and saw it! I’m not a big fan of Lwaxana so I like Deanna telling her off, though she did become a bit more tolerable late in DS9. I kind of liked 11001001 too. I just don’t care for Lore episodes for some reason, but I know Datalore is another one people like. Heart of Glory isn’t a bad one either, I’m just generally not wild about Klingon episodes. Not wild about Klingon episodes and you don’t like Q? You live in a terrible head-world. 5) Code of JUST KIDDING. Man, I’m really having a hard time. This season is SO bad. 5 for real) Datalore – Best “Shut Up, Wesley!” ever. 4) Haven – One of the ones I remember furthest back, pretty decent. Also, what’s-his-name-Wyatt was a villain in Heroes and kinda awesome …. 2) Heart of Glory – Klingon death growl for the win. 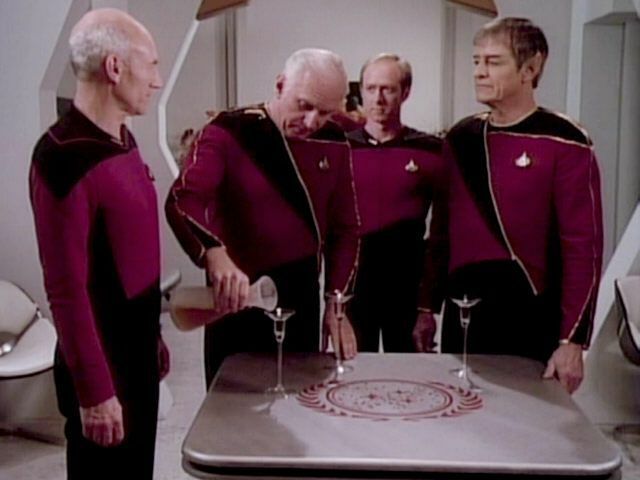 1) Conspiracy – I like my Trek like I like my coffee. Skin of Evil – Like Crosby, hated Tasha. Always will have a soft spot for putting her out of our misery. That “shut up Wesley” was great! Ahhhh, such great choices!! I really enjoyed all of those episodes, especially Haven. That one was strange, but I really liked the whole message or whatever. I’m tempted to go try to pick out my top 5 favorites as well, but maybe I should watch the rest of the seasons first? lol. Well I’m just picking 5 per season as I go, while they’re still fresh in my mind! I’m glad to know other people like Haven though… I thought people were going to talk badly about it for some reason. Haven was produced first but runs later. And it shows. 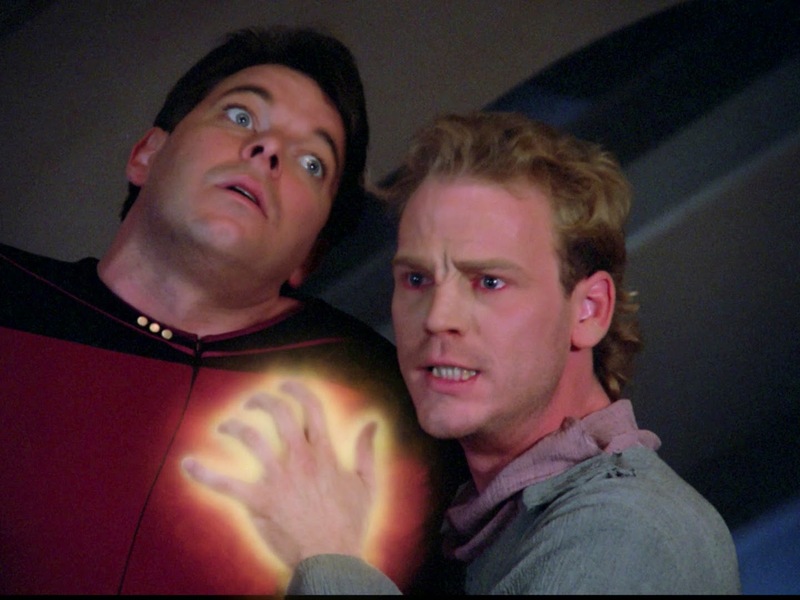 TNG is clearly still finding its feet at this point and while I like some of what it has to offer, I’m not a huge fan. 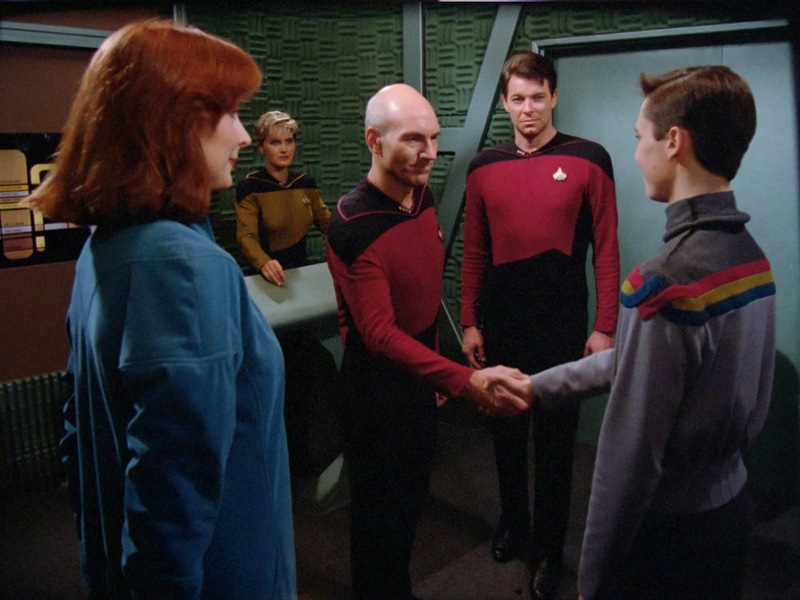 I also find it interesting to note at this point they hadn’t decided if Riker’s nickname was Will or Bill. 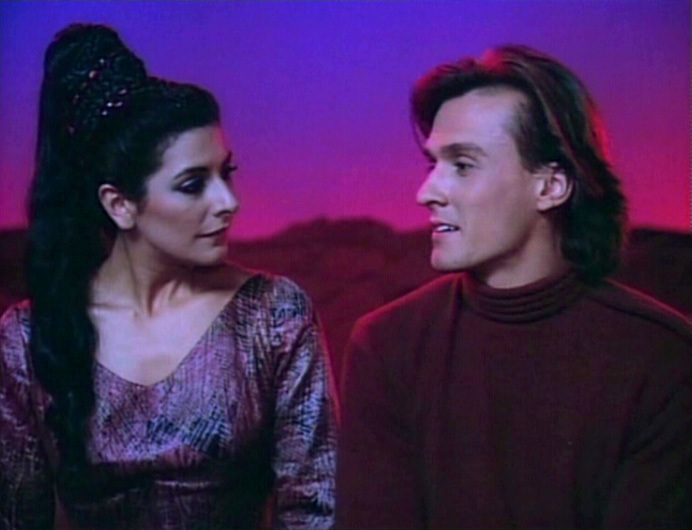 Troi clearly refers to him as Bill during the holodeck scene. Reading your list, I see that we disagree on which episodes are our favorites from each season. And boy, do we ever more disagree on season one! I’d put Heart of Glory in my top five as well as the one with Binars. (I never get the sequence of numbers right for the title!) I would also have to put Where No One Has Gone Before in there. Of course, this is the fan who likes what Justice is trying to do, even if the execution doesn’t necessarily work!